Imagine you are wearing a bandage that needs to be removed. Are you the sort of person who tears the bandage right off, causing an enormous amount of pain in a short instance? Or do you prefer to spread your pain out over a longer period of time, by slowly unpeeling the bandage from your injury? 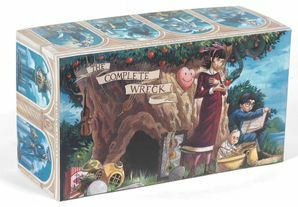 If you are the first type of person, then this three-book box set might be for you. 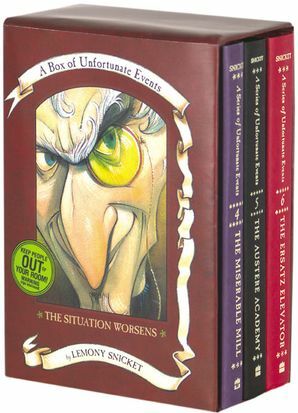 All of the misery and woe available in three Lemony Snicket volumes—The Miserable Mill, The Austere Academy, and The Ersatz Elevator—have been joined into one compactly miserable package, so readers foolish enough to read about the Baudelaire orphans can be unnerved in a slightly more economical fashion. 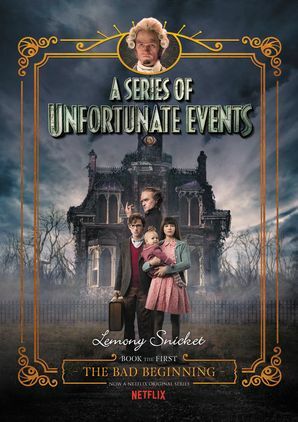 If you are the second type of person, then volumes four through six in A Series of Unfortunate Events might be for you. 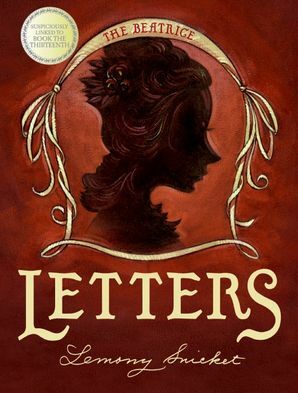 Even if you unwisely choose to read them at a more leisurely pace, you will encounter such atrocities as poorly paid employees, a hypnotist, an evil scheme, a gym teacher, dripping fungus, another evil scheme, a fake accent, three mysterious consonants, a red herring, and at least one more evil scheme. Of course, most people would prefer not to be injured at all. We salute these sensible people, who will doubtless not purchase any books by Lemony Snicket, no matter how conveniently bundled.